Thanks to superb weather conditions, there was not a single timeout during 8 fast-paced rounds of the second regatta of the season. 150 participants competed in the event, now in its 5th year. 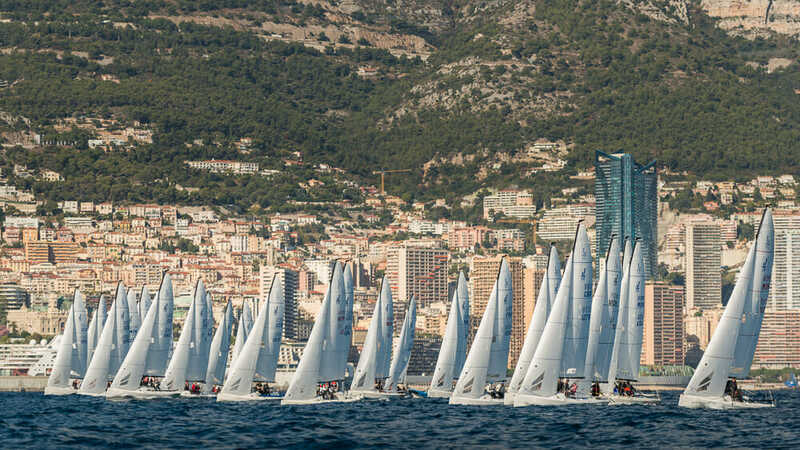 Twenty-seven J / 70 and fourteen Melges 20 have travelled to the Principality, establishing their winter base here. J / 70 was full of suspense until the end among the top three competitors. Leader Vincenzo Onorato (Mascalzone Latino) of Y.C.M. had to concede the final victory to his direct competitor: Valeria Kovalenko. 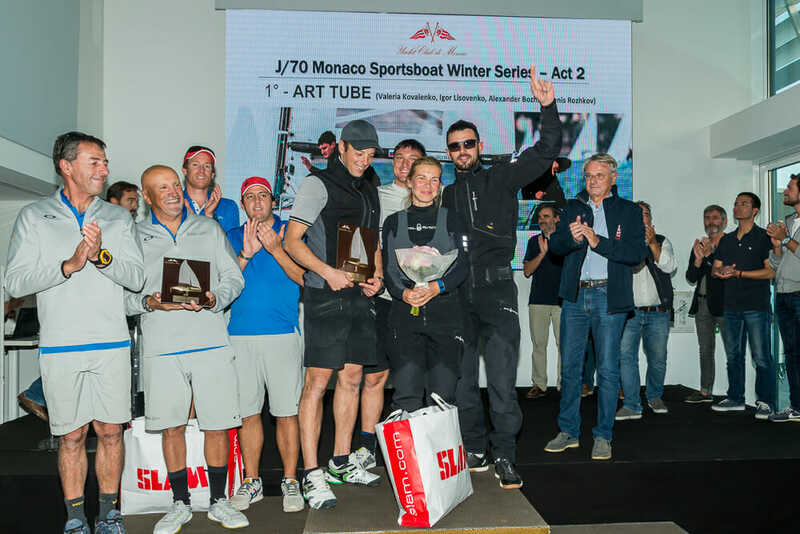 Art Tube, led by the Russian helmsman, who already had a victory under their belt from the previous edition of the Monaco Sportsboat Winter Series, the first event of the season. Peter Harrison (Sorcha J) won third place. The south-southwest winds steadily blew at speeds of 10-12 knots throughout the three days. Giangiacomo Serena di Lapigio (G-Spotino) also showed consistency and finished fourth, only 3 points behind third place. 14 races have already taken place after only two meetings of the 2017/2018 season. Art Tube leads the way, far ahead of its competitors, 43 points ahead of the Italian Sport Cube, who are followed by Stefano Roberti on Piccinina. A regatta is never over before the final round. A philosophy well illustrated by Ludovico Fassitelli (Junda Banca del Sempione) who won the second act in Melges 20 under Alex Team Alexander Mikhaylik. Maxim Titarenko (Leviathan) stayed in 3rd place. The beautiful regatta of Levante, blocked by the young Rémi Piazza of the Sports Section of Y.C.M, rose to second place in the Corinthian category. After two acts in the provisional general classification, the battle continues to rage at the top of the ranking since the crews from Alex Team and Junda Banca del Sempione are currently in first and second place with equal points. 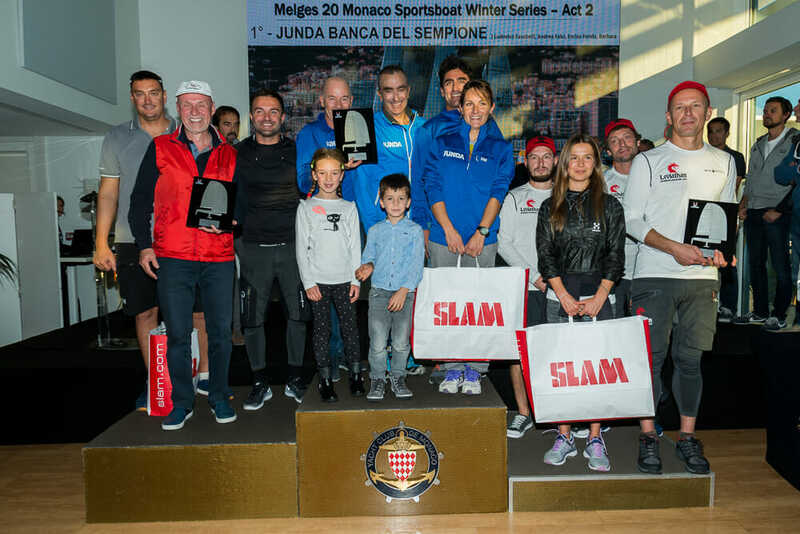 Organized once a month from October to March by the Yacht Club of Monaco, in collaboration with equipment manufacturer SLAM and at the initiative of Valentin Zavadnikov, the Monaco Sportsboat Winter Series attracts racers from very different horizons. Witness the presence of Olympic champion and triple Laser World Champion Paul Goodison on Mascalzone Latino or Diego Negri, recently crowned European Vice Champion of Star and present in this act as a coach. Other renowned participants include Sebastien Col, key figure in Match Racing, the America’s Cup and teammate of the GC32 Malizia led by Pierre Casiraghi for two seasons. They all find themselves in the Principality for the occasion. The next meeting will take place from 8 to 10 December on Monegasque waters.